The tensions between North Korea and the U.S. are rising, leading to a reconfiguration of how the U.S. will respond to their continued threats. 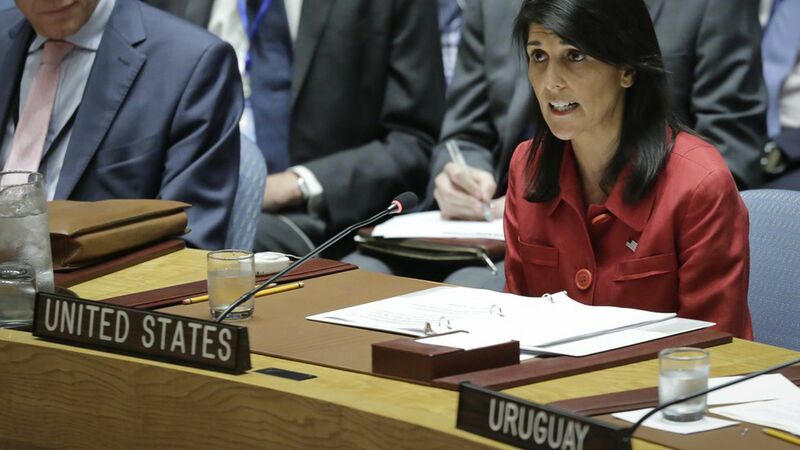 During the U.N. Security Council's emergency meeting on North Korea today, U.S. Ambassador to the U.N. Nikki Haley said "actions are quickly closing off the possibility of a diplomatic solution." The U.S. is ready to fight. The top American military commander in South Korea, General Vincent Brooks, echoed Haley's remarks in a statement today. "Self restraint, which is a choice, is all that separates armistice and war. We are able to change our choice when so ordered.…It would be a grave mistake for anyone to believe anything to the contrary." Why now: North Korea confirmed it successfully launched an ICBM and that one of the two missiles it used was previously unknown to the U.S. — both events suggest its nuclear capabilities are more advanced than the U.S. thought.